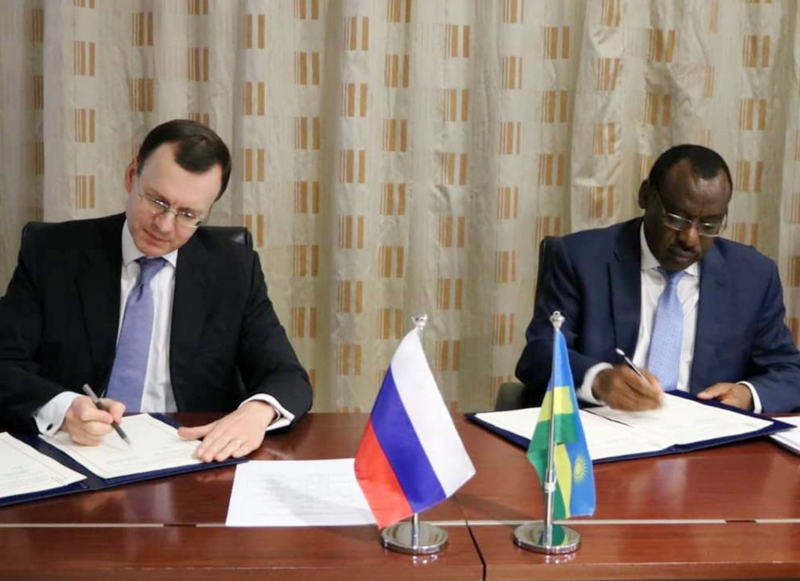 Rosatom State Atomic Energy Corporation of Russia and the Ministry of Infrastructure of Rwanda signed two memoranda of understanding in Rwandan capital Kigali recently for co-operation in peaceful use nuclear energy. NikolaySpassky, Rosatom Deputy Director General for International Relations and ClaverGatete, Rwandan Minister of Infrastructure signed the MoU on behalf of their respective sides. Memoranda set the foundation for cooperation framework in two key areas of development of the Rwandan program for the peaceful use of atomic energy; developing the human resources and raising public acceptance of nuclear energy. Within the framework of the Memorandum of Cooperation on personnel training, the sides agreed to implement joint projects in the field of education and training of personnel to meet the needs of the nuclear energy and related industries in Rwanda.